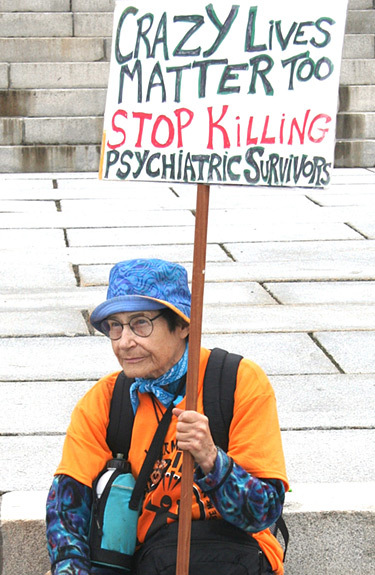 Vermont Psychiatric Survivors, Inc. | Equal Rights, Protection and Participation for 32 Years! 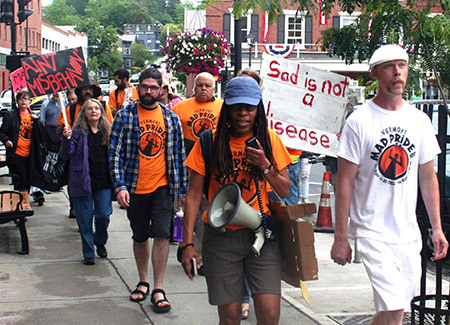 Vermont Psychiatric Survivors, Inc. is an independent, statewide mutual support and civil rights advocacy organization run by and for psychiatric survivors. Founded in 1983, we offer mutual support, publish a quarterly newspaper that is distributed throughout Vermont, offer patient representation in Vermont psychiatric hospitals and residential facilities, sponsor peer-led support groups, advocate and educate to challenge discrimination, and offer technical assistance to allied organizations. Vermont Psychiatric Survivors publishes the newspaper, Counterpoint, three times a year. 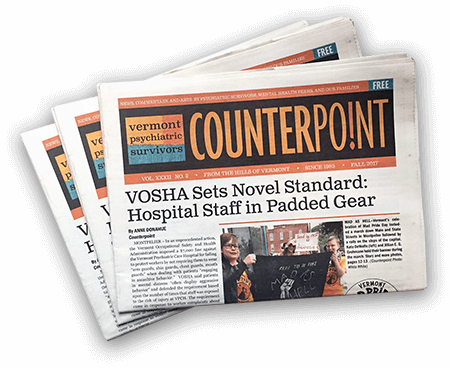 Counterpoint is available online and for free at sites throughout Vermont and parts of New Hampshire. Mail delivery is also available through subscription. We welcome art, essays, and commentary from psychiatric survivors, consumers, and our families and allies. Counterpoint publishes a resource list to allow readers to seek out choices for support. Click here to download a PDF of the directory.